New hardware was selected, an Arduino Beetle clone seemed like the best choice since it was roughly the same outline yet featured a much more powerful processor, albeit at five times the price. 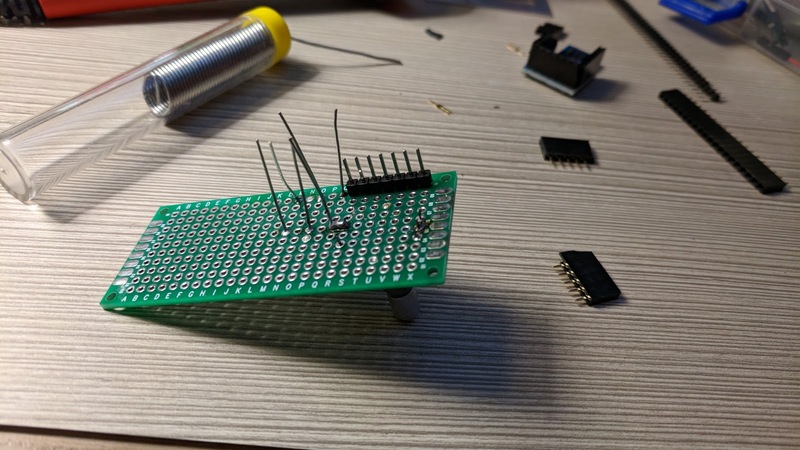 A Beetle uses the same processor as an Arduino Leonardo or Micro so the libraries for those boards should work without problem and they have been used for other projects in the past. Female headers were soldered to the top of the board for initial testing. 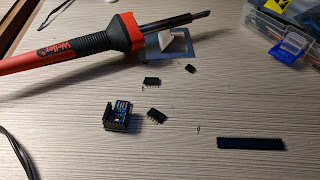 Soldering was done in a hotel with a less-than-ideal iron. A board with an encoder was started but wire cutters were not available so it wasn't finished. This board will feature pull-down resistors for a more intuitive interface with the encoder. 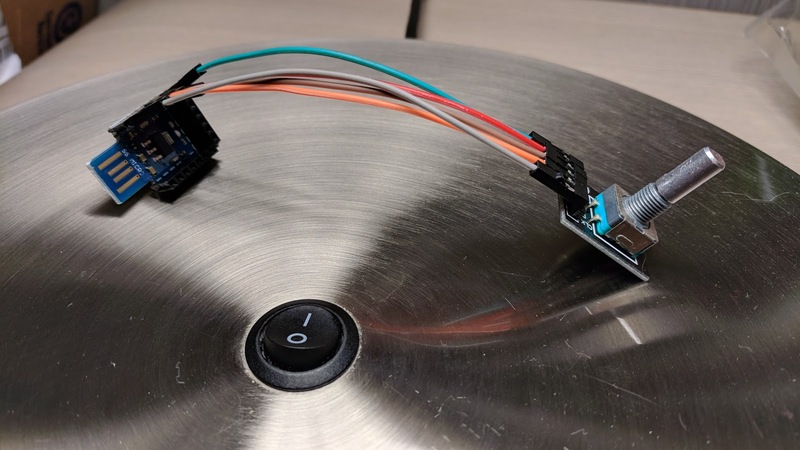 If a custom circuit board is ever made for this project, it will probably be possible to change from pull-down to pull-up resistors with a single solder bridge or jumper. The commercially available encoder breakout board was wired to the Beetle clone but no code was downloaded or tested yet.